Our Easy Instant Home Valuation Tool! Our Listings in the Coachella Valley. Your Guide to the Cities and Communities of the Desert! What makes the Jelmberg Team so successful at selling homes? In short the key to our success is; business experience, engaging marketing, local knowledge, a team approach and a sincere dedication to client care. This approach is what we call the "Jelmberg Advantage" – our proven method to sell homes effectively. The Jelmberg family's experience stems far beyond our intimate knowledge of the local real estate market. 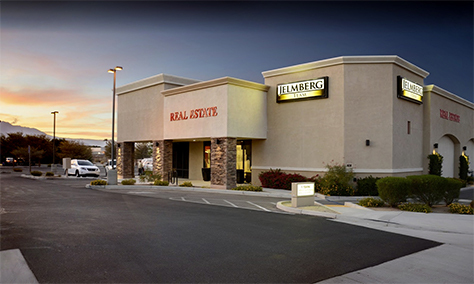 After selling three successful businesses, including one of which became the largest privately owned Internet Service Providers in the nation, the Jelmberg's moved to the Coachella Valley. Applying their past business knowledge to the local real estate market, The Jelmberg Team quickly gained home sales to over $50 Million and are now on target to sell over $70 Million in residential homes in the Coachella Valley. The Jelmberg's award winning team approach to real estate provides clients with a dedicated marketing team, in-house professional photography, contract management and individual attention to our clients. This team approach, local knowledge, capabilities, experience and marketing strategy makes for a proven formula that gets homes sold! Contact one of our agents today for an eye-opening listing presentation and find out why you should put the "Jelmberg Advantage" to work for you!